When the name Rolex is mentioned, most people think of sporty watches like the Submariner or Daytona. 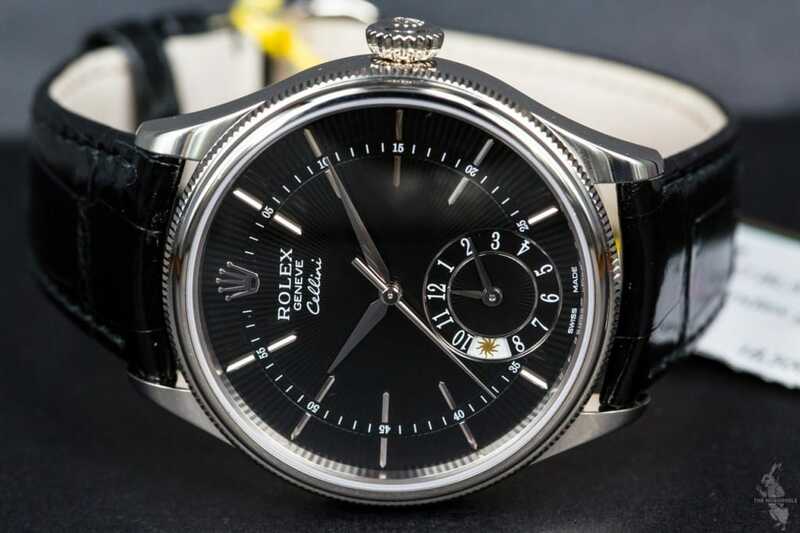 Though these popular models are excellent representations of the company, it is important to remember that Rolex also offers a wide range of luxury dress watches in its refined Rolex Cellini collection. Cellini is a special sub-brand of Rolex and are manufactured with precious metals for men and women. Originally manufactured in 1975, the collection is still being produced today. The original line included references 4112, 4111, 4015 and 4104. Traditionally, the models shared very little with other Rolex sports and dress models. They utilized different style cases, dials and even handsets. The collection certainly takes its inspiration from the Italian Renaissance. In fact, one of the Renaissance’s most admired artists, Benvenuto Cellini, who was a goldsmith and sculptor to the popes, inspired the name of the watch collection. 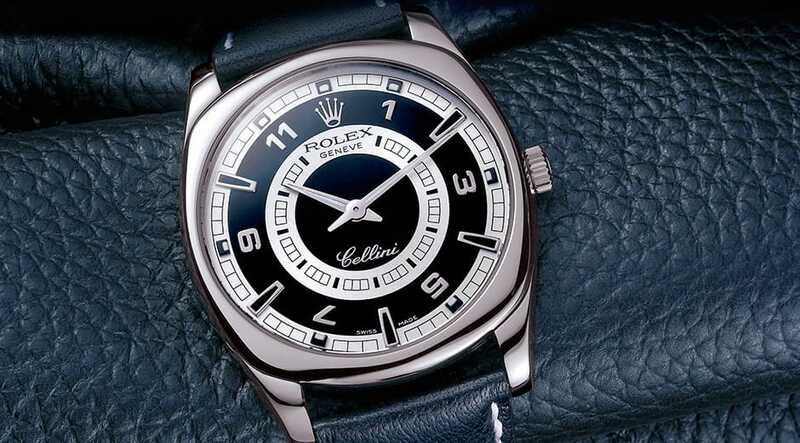 In 2014 at Baselworld, Rolex announced three new Cellini models. The current line is available with new sizes, new cases and even new movements. 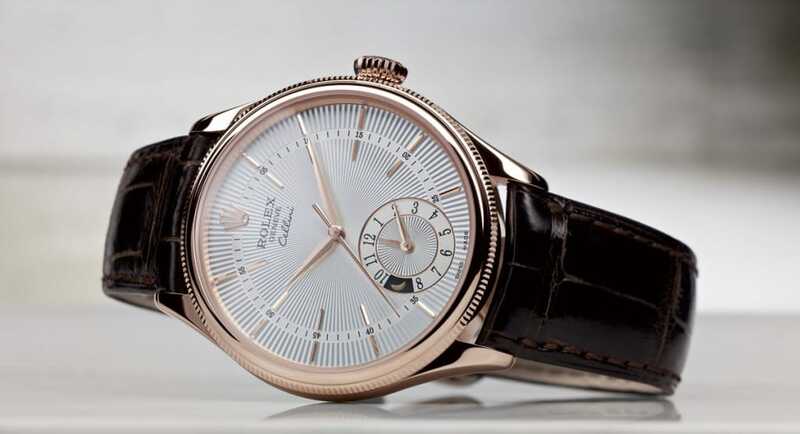 The Cellini Time, one of the new creations, is a beautifully elegant and traditional three handed watch. It is fully equipped with center seconds, minutes, and hour hands. The new Cellini Time utilizes the 3135 caliber 31-jewel, self-winding movement with a Blue Parachrom hairspring and Breguet overcoil, allowing the watch to beat at 28,800 beats/hour (4Hz). The watch case measures 39mm and is equipped with a double bezel that is fluted then domed. The crown is also tapered and screws down to the case. This allows the case to protect the delicate movement from water up to 50 meters. This model is historically one of the few Rolex watches to not utilize the Oyster case. However, the domed caseback certainly recalls some of the models from Rolex’s long history, giving the watch a vintage feel. If you want a step up, the Cellini Date also features a date aperture. For those who want a more complicated design, the Cellini Dual Time offers a two time zone complication and day/night indicator. The stunning Cellini collection is available in 18k white gold or Everose gold. 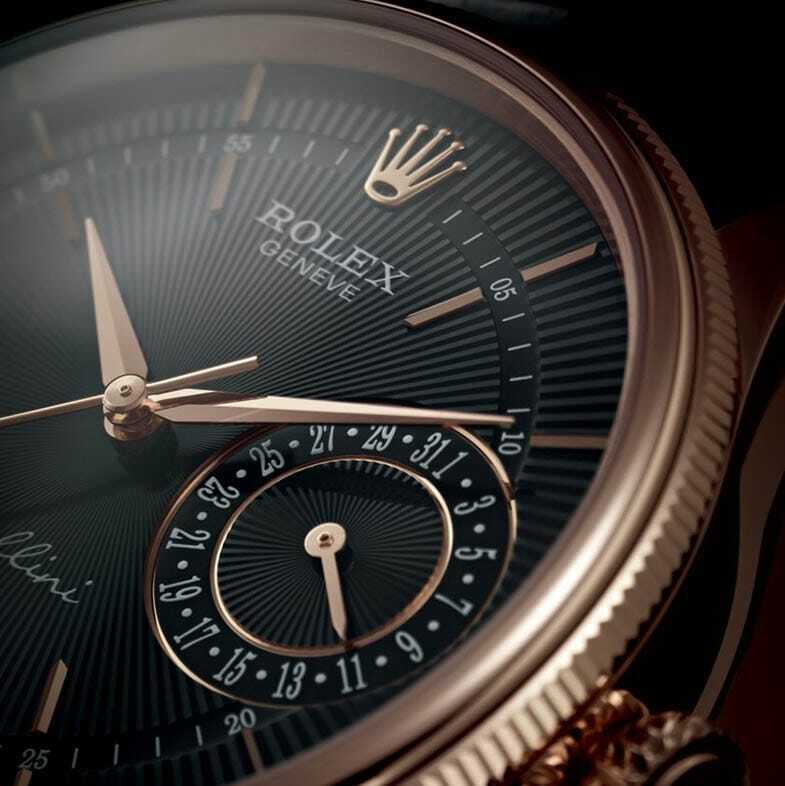 This new version of a timeless timepiece certainly references the very best of Rolex’s elegant watches throughout history. The Cellini collection is perfect for formal occasions yet it is not ostentatious. 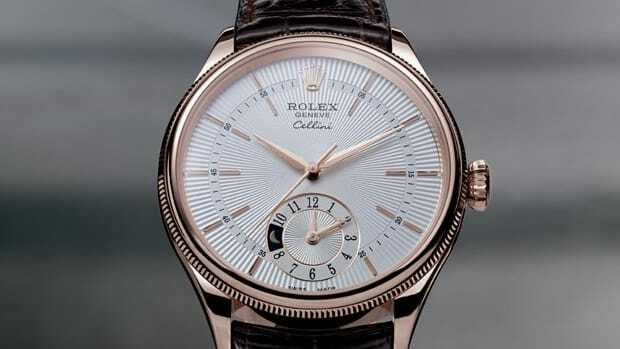 When looking for the right formal watch for your Rolex collection, you can never go wrong by choosing a Cellini.